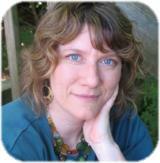 Portland Therapist: Deborah Orandon - Therapist 97219. Highly Sensitive/Creative/Gifted Adults/Teans (based in part on The Highly Sensitive Person Work of Elaine Aron and Dabrowski's theories); Artists/Athletes—e.g. issues relating to career, identity, performance anxiety, Artist's Block, training/practicing, post-career grief, injury, motivation, etc. ; Those with persistant Anxiety/Panic; Those in the process of re-claiming the Self/Life Transformation/Transition & Growth work; Those seeking a Mindfulness, Movement or Body-Centered Therapy approach in their healing & change work. Send A Message To Deborah. There is a wise part of you that knows your deepest experiences, highest hopes, passions and gifts better than anyone else. My job as a counselor is to help you reconnect with that part and learn to listen to its guidance, as well as help you listen to and develop compassion for all aspects of yourself. This includes the wounded, scared, angry and suffering parts, which also have important perspectives to share. My counseling approach combines mindful & experiential techniques with cognitive & behavioral tools to help you learn to get to know your experiences with safety, curiosity and depth. In our counseling sessions we work together to: 1) discover core beliefs that have been holding you back or contributing to your distress, 2) practice studying your experiences giving rise to new understanding, and 3) use this insight to create or tailor tools matched to your strengths and style to make the changes you would like. At the heart of Self Awareness Counseling is an "experiential", "mindfulness-based", body-centered (a.k.a. somatic) psychological philosophy that honors the body & mind as an indivisible whole. Instead of simply talking about a problem this approach helps you access, in the moment of distress, your innate wisdom and inner-resources to learn to shift your inner-state from distress to calm. This counseling process values that the body is an expressive extension of the mind and vice versa. It also honors that emotions straddle the realm of sensation and thought. Therefore therapeutic work can be approached from the many doorways of experience--harnessing thoughts, feelings, and behaviors. By listening to the body in conjunction with the mind our toolbox is vastly expanded, and the myriad of ways that change can occur is increased. This expanded repertoire enables us to match your personal style with the counseling style that is right for you. SPECIALTY POPULATIONS: Creatives, Highly Sensitive & Gifted Adults/Teens(Based on The Highly Sensitive Person Work of Elaine Aron) and Parents of Highly Sensitive Children; Artists/Athletes—e.g. issues relating to career, identity, performance anxiety, training/practicing, post-career grief, injury, motivation, etc. ; Those with persistent Anxiety/Panic; Those in Mid-Life and/or in the process of Life-Transition/Transformation, Self-Discovery & Growth work; Those seeking a Mindfulness, Movement or Body-Centered Therapy approach in their healing & change work.